A charter school is a free public school open to all eligible students, but not run by the NYC Department of Education. What makes Urban Dove Team unique? Each student, as part of a team, participates daily in 2.5 hours of sports and fitness activities. Each team is assigned a full-time coach who also supports academic learning. We also have unique programs that provide job skills and college readiness. 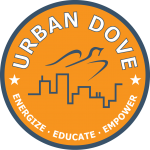 Where is Urban Dove Team? We have two schools. One is located in the Bedford-Stuvesant neighborhood of Brooklyn, the other is in the South Bronx. What are the eligibility requirements for UD Team? Students must have attended at least one year of high school and have fewer than 8 credits. They must also be 16 years of age or younger at the time of enrollment. Does my child need to be a good athlete to attend? No. UD Team is for all students, regardless of athletic ability. Does UD Team admit students who are English Language Learners? Yes. We provide support for English Language Learners. Does UD Team admit students who are receiving special education services? Yes, we will work to meet the goals and objectives of the student's Individualized Education Plan (IEP). Does the school follow the same schedule as DOE schools? No, UD Team has an extended school day until 5:oo PM and a summer program to ensure students have every opportunity to succeed. How do I apply to UD Team? You can fill out an application online or call the appropriate school office. When is my UD Team application due? There is no deadline to submit the application, but to be placed in the lottery you must submit by Monday, April 15, 2013. The lottery is an admissions process required by New York State law that is held when there are more student applications to a charter school than seats available. The lottery randomly selects from all applicants for admission. Students who are not selected in the lottery or who apply after the lottery deadline will be placed on a waiting list for spaces that may become available in the future. When is the UD Team lottery? The lottery will take place on the last Wednesday in April, if necessary. The students whose names are chosen will be notified about their enrollment status for Fall of the following year. Students who are not chosen in the lottery will be placed on the waiting list. Is anyone given preference in the lottery? Yes. Preference in the lottery will be for students who live within District 13 in Brooklyn and for those who have a sibling that currently attends UD Team. Does the student or parent/guardian need to be present at the lottery? No, no one needs to be present. How do I know if my child gets into UD Team? The UD Team administrators will contact the family directly with either a letter or a phone call to let you know if your child has been accepted. You will then be required to contact the school within 48 hours after the notice in order to finalize the enrollment. If my child is accepted into UD Team, will s/he be required to attend the school? No. However, if the student decides not to attend UD Team, s/he will need to notify the school for the vacant seat to open up for other students. If my child is accepted into UD Team, will s/he have to participate in the lottery each year? No, students who are enrolled in the school will be able to remain there in subsequent years. However, parents must let the school know that they plan to return each year.